On Tuesday, June 19th, the Board of Trustees approved a compliant budget of $694 million. The budget includes a compliant in-year deficit of $2.8 million. 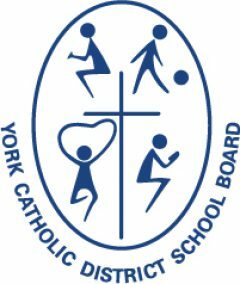 The Board of Trustees of the York Catholic District School Board (YCDSB) would like to thank its many stakeholders for their recent participation and feedback, which contributed invaluable input in assisting the Board with the Budget Development Process. The Board’s Multi-Year Strategic Plan identifies four commitments to our stakeholders. They include: the Integration of Catholic Faith, the Continuous Improvement of Student Achievement, the Effective Use of Our Resources and Engaging Our Communities. Faced with increasing financial restraints, these commitments continue to guide the Board’s decision-making on new investments and cost reductions. In 2018-19, new staffing investments totaling $1.7 million were made as a result of new and existing areas of Ministry funding. Within Special Education, the Board continues to invest in Core Resource Teachers (20.5 Full-Time Special Education Teachers) and Educational Assistants (26.5 Full-Time Staff) using system investments funding from the Ministry. The in-year deficit for the 2018-2019 budget improved by $2.4 million from the 2017-2018 budget. To achieve a compliant budget, the Board of Trustees approved $4.5 million in net savings/cost reductions during the 2018-19 budget deliberations.